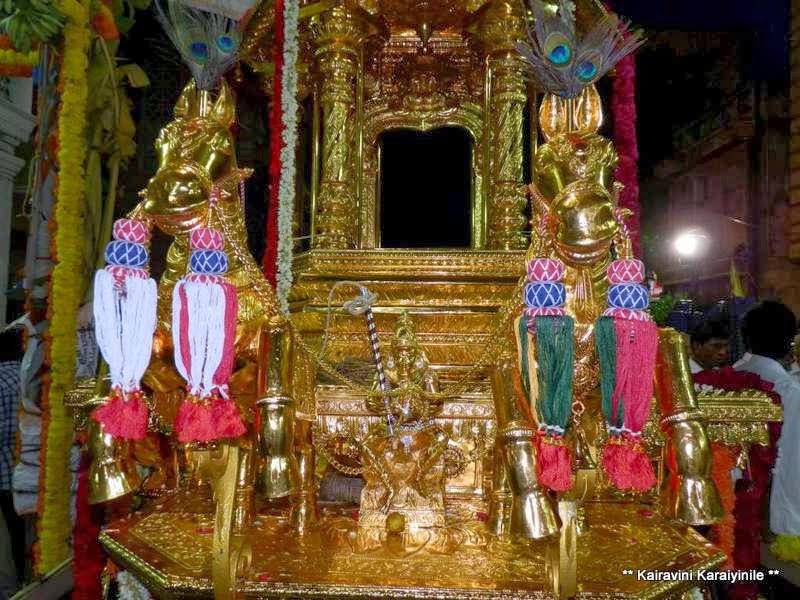 In March this year, I had posted about the ‘Navarathan Ratha’ made of gold kept on display and thence dedicated to Sri Raghavendra at Manthralayam. 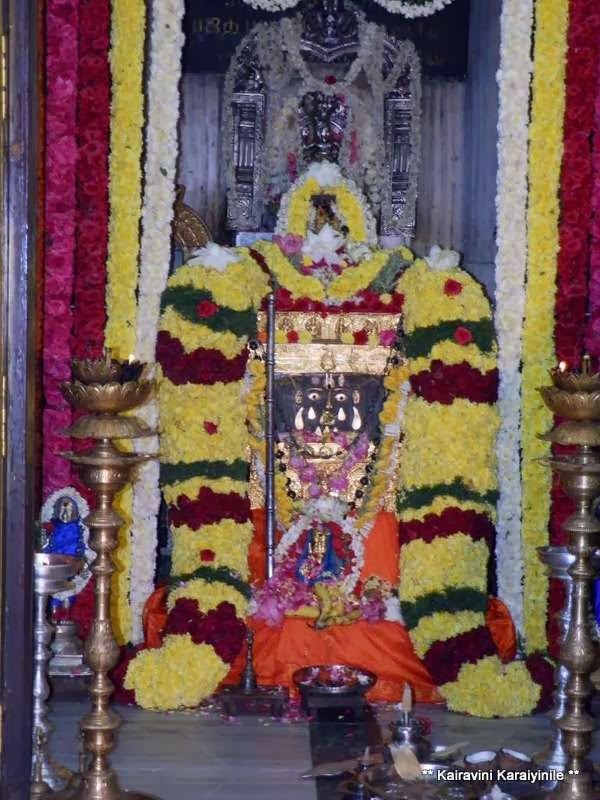 There is fair sprinkling population of Madhwas in Triplicane – i.e., those who follow the ideals propagated by Sri Madhvacharya. Understand that the writings of Sri Madhvacharya comprises of thirty-seven works, collectively called Sarva-moola Grantha. 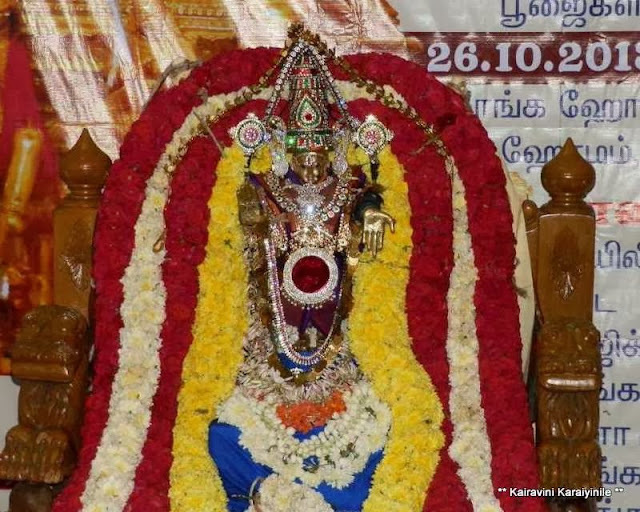 As we have Guru parampara Acharyas in Sri Vaishnavism, the hierarchy in Madhvas starts with Sri Maha Vishnu himself, Pirattiyar Lakshmi Devi, and then has Brahma, Saraswati, Garuda, Anjaneya… heard from a friend that they have Karmaja Devatas which includes Sri Prahladarajar. Miles away, in the town of Mantralayam in Kurnool district, that lies on the banks of the Tungabhadra river exists the holy Vrindavana of Sri Raghavendra Swami. Sri Raghavendra Swami is reverred to have lived on this earth between 1595 – 1671. Sri Venkata Natha as he was known earlier , learnt and acquired mastery over Vedas, Sastra, puranas and was totally religiously inclined in service of God. Upon taking Sanyasa, he came to be known as ‘Raghavendra Swami’; on a very auspicious day, the saint Sri Raghavendra Thirtha, entered the samadhi in the Brindavan, alive. At Triplicane, there is a Mutt for Sri Raghavendrar at Thulasinga Perumal Kovil Street. 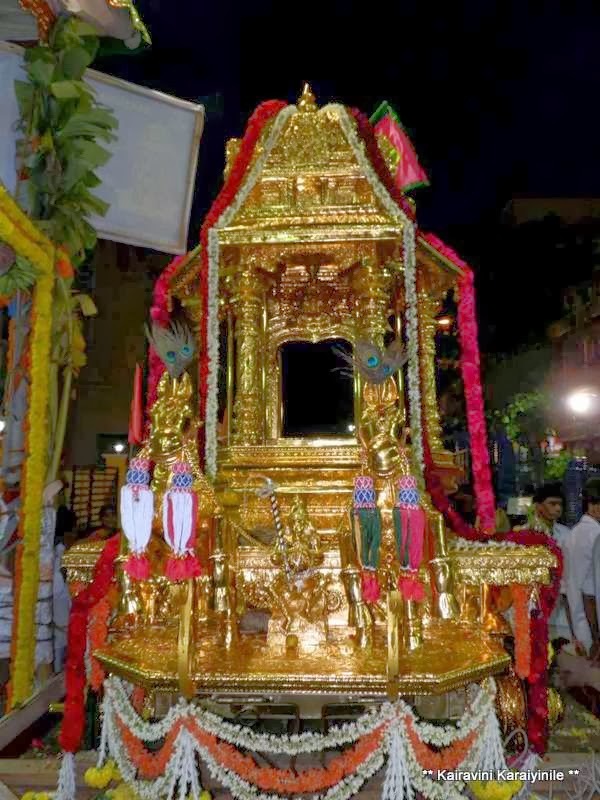 Remember this was built in the early 1970s and lot of rich and famous visit this temple…………. Remember having seen Rajnikant coming on a scooter and in later days on a Fiat car………. Today, the devotees have reverentially made available a Golden chariot for Sri Raghavendrar. 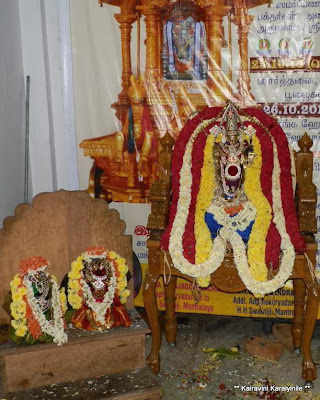 Understand that after today’s purappadu for the first time in the mada veethis of Thiruvallikkeni with ‘Sri Moola Ramar’ – the Vigraha worshipped by Sri Raghaventhirar and Sri Prasanna Srinivasar on the Ratha – the ratha would then be stationed inside the Mutt for the purappadu of Sri Raghavendra. 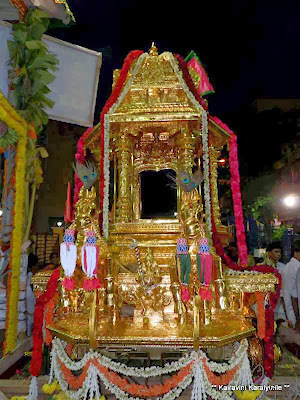 Here are the photos of the Ratha – the Moolasthanam of the Mutt and Sri Venkatachalapathi..
With regards – Srinivasan Sampathkumar.